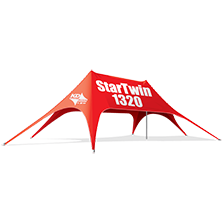 Standing at 21’ high, the KD StarStage 550 canopy is a band-shell design, excellent for audience viewing and quality acoustics. 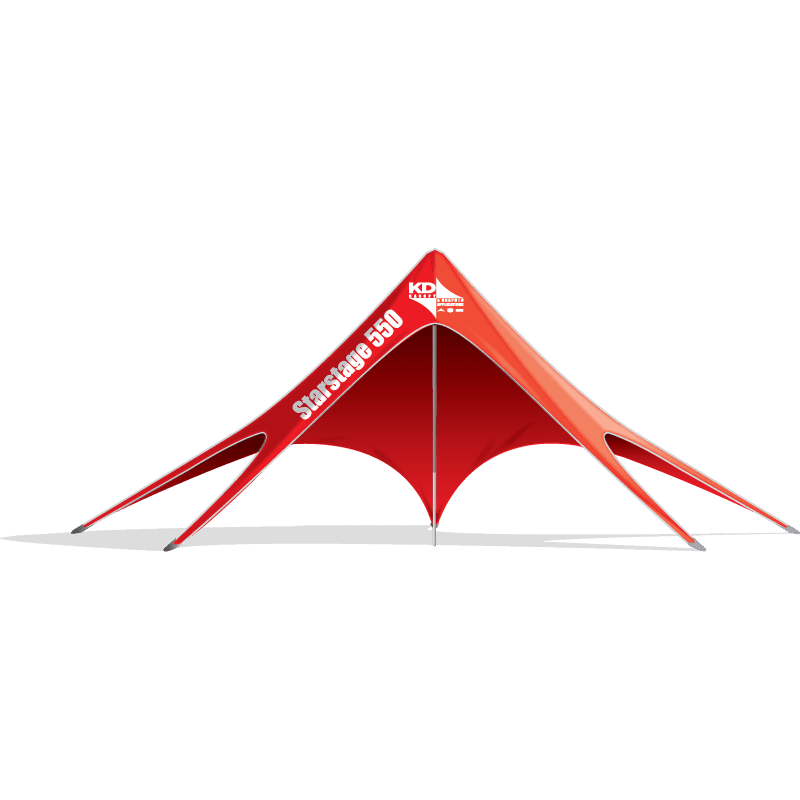 This tent gives you 550 square feet of completely covered space. 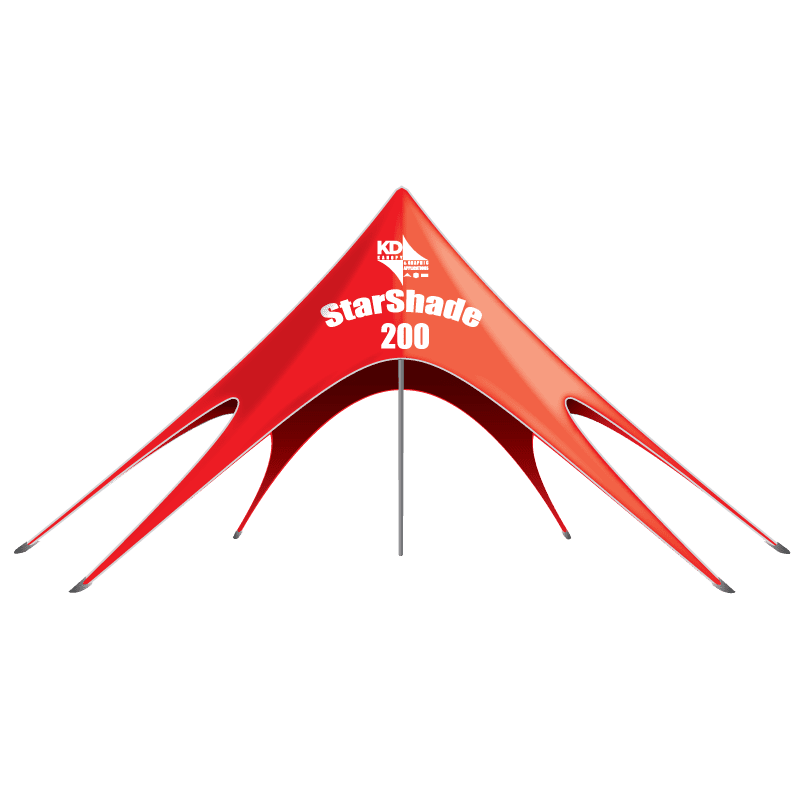 The StarShade 550 requires a 55 foot diameter set-up area and folds down into 3 carry bags, which fit into the trunk of most standard vehicles. The unique design of the StarStage was invented by KD Kanopy. 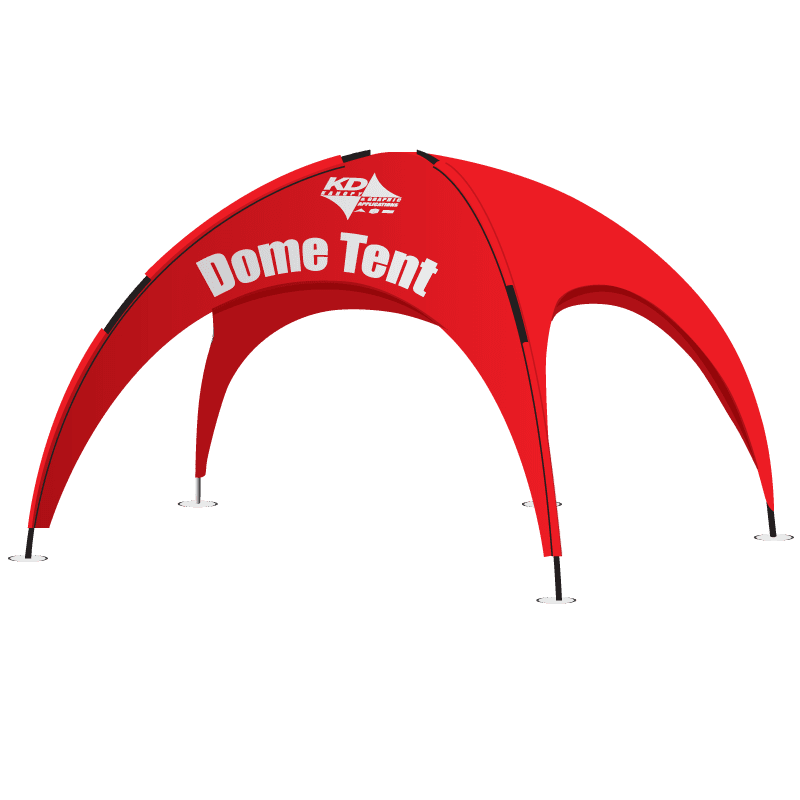 Five elegant arches rise to 7‘6” and the front opens at 11’4” to offer a wide viewing area. Locate the center area of the StarStage. The center stake and number one stake should point to the audience. Now locate stake two, three, four, and five with cable. Move out, in line with the center stake three and five one foot. The center stake moves three feet towards number one. Now drive all stakes into the ground.